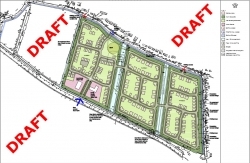 As anticipated, on instruction by C Sanders, Sutherland PLC (the agent) has appealed against NSC decision to refuse outline permission for 200 houses and additional facilities. Citing the reason of 'non-determination' by NSC within the prescribed decision making time from the original application. This opens the door to the application to be determined by NPPF (National Planning Policy Framework) criteria not just NSC Local Plan policies. See BAT (Bleadon Acting Together) page for links to futher information on the appeal process.